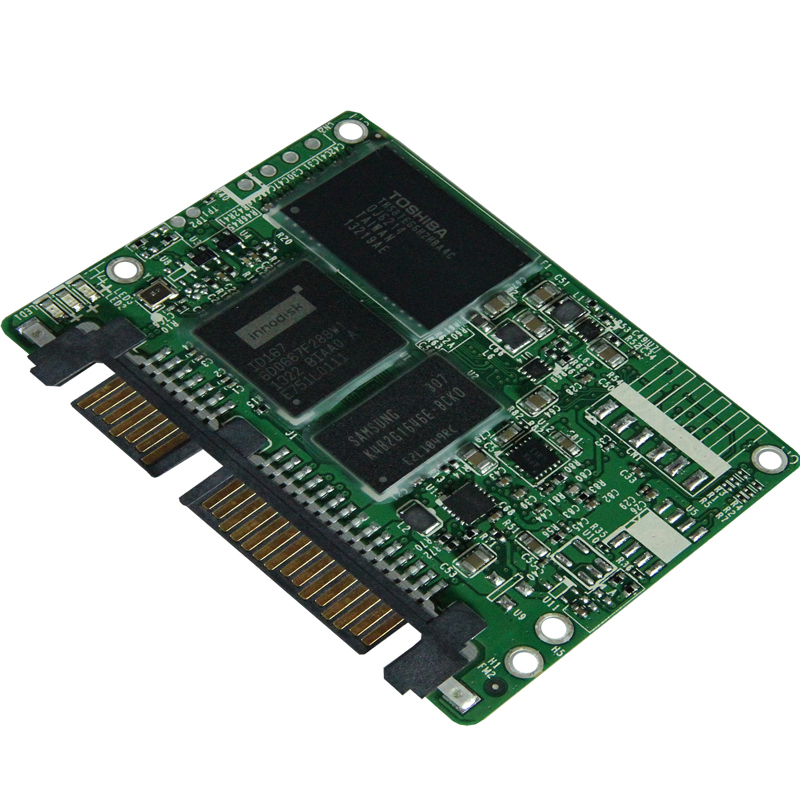 acon Industrial Slim SATA delivers all the advantages of flash disk technology with the Serial ATA Interface and is fully compliant with the standard Slim SATA form factor, known as JEDEC MO-297 standard. The power consumption of the Slim SATA SSD is much lower than traditional hard drives, making it the best embedded solution for new platforms. acon Seal Slim SATA products will be fully coated with a special sealing compound, which hermetically seals the sensitive electronic components within and protects your data reliably against liquids, dust, dirt, shock and vibration. acon Seal Slim SATA delivers all the advantages of flash disk technology with the Serial ATA Interface and is fully compliant with the standard Slim SATA form factor, known as JEDEC MO-297 standard. Innodisk SATA Slim 3IE3 is SATA III 6Gb/s Flash based disk, which designed with standard SATA interface (7+15 SATA connector), and compliant with JEDEC MO-297 standard. StorFly® Slim SATA (MO-297) SSDs are ideal for networking, embedded, industrial and Advanced TCA applications that implement a standard SATA 3Gbps socket but require a form factor with a volume that is roughly 15% that of a 2.5-inch SSD.